Nad & Tad are on a mission to help men get in touch with their testicles. That’s right. Because testicular cancer rates are on the rise. In fact, it’s the most common cancer in men ages 15-34. But if caught early, it’s beatable. So it’s time to have a ballsy conversation about what to look for and how to do it. If you notice one of these symptoms, it doesn’t necessarily mean you have testicular cancer. Sometimes the symptom can be the result of a different medical condition. Either way, make an appointment with your urologist or doctor as soon as you can and get your testicles checked out. Nad & Tad-ify yourself on Snapchat! Nad & Tad are partnering with Gun Hill Brewing Company in NYC to raise awareness of testicular cancer and the importance of early detection. 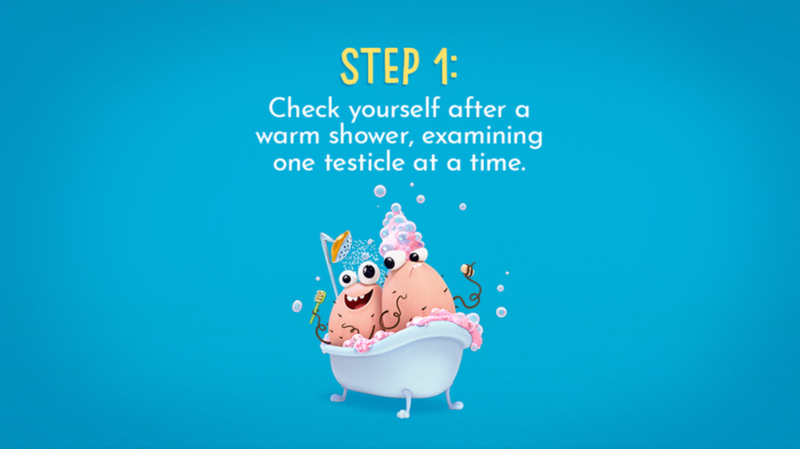 This website is brought to you by the Testicular Cancer Foundation (TCF). TCF provides education and support to young men to raise awareness about testicular cancer, the most commonly diagnosed cancer among males ages 15–34.